Y45BT is rated 3.5 out of 5 by 12. Rated 5 out of 5 by MS2016 from Awesome headphones for my needs I was looking into some wire free headsets for many purposes. Office, Gym, and Auto. The Bluetooth works seamlessly, and the sound excellent as you would expect from AKG. The fit is snug which even allows use while running on the treadmill. Even better, the battery life is excellent (I only charge a couple times a week). The only thing you have to keep tabs on is the cell phone battery as the Bluetooth use consumes more battery (as expected). All in all, I'm glad I made the purchase and would be staying with the brand(s) in the future. Rated 4 out of 5 by tommo from Fantastic sound quality I got these for Christmas 2016 and was so impressed by the quality of sound. The bluetooth works great and connects straight away too. I have had them for almost a year now and I'm sorry to say that what other people have said about the build quality of the earbud covers is correct. Mine have been very well looked after and they are now coming apart. Rated 4 out of 5 by Anastasiya from Good features I had used a wire headphones of this brand for 3 years. I was extremely satisfied. I've dicided to buy wireless headphones. I bought AKG Y45 BT (white) a few weeks ago. Great sound (I didn't expect any other) Great design and size of pads. Especially for girl. Battery life more than 8 hours. 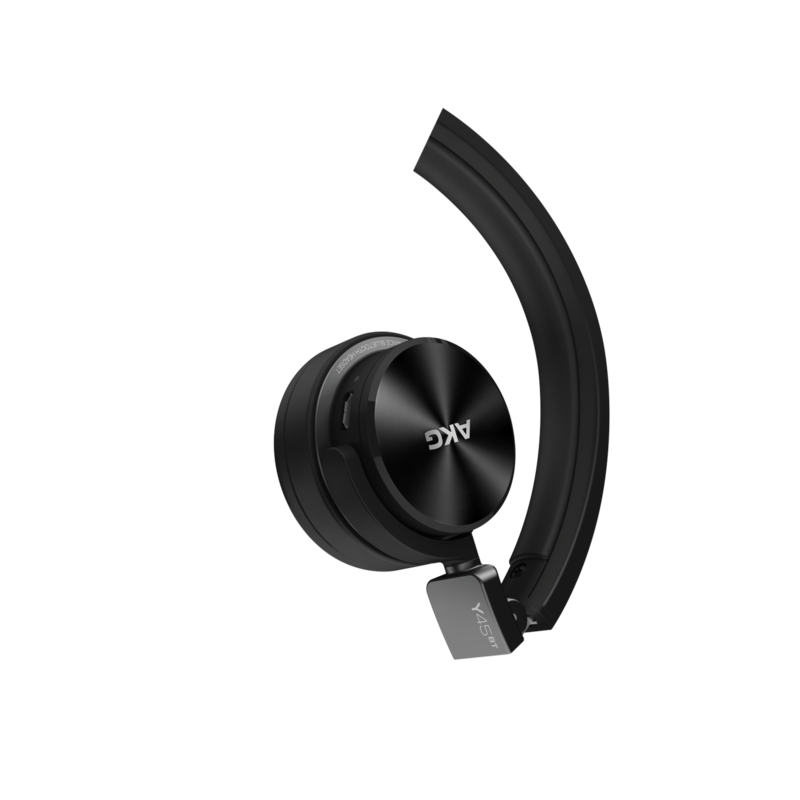 (Unfortunately, AKG doesn't have wireless headphones of this kind of design with longer battery life.) Plastic is durable and pleasant to touch. Detachable bypass cable for listening direct - good decision. Great noise blocking. BUT I can not use it to do calls. Connection is cutting off. Bad sound and volume. There are no this kind of problem with detachable cable. This is disappointing. But anyway I'm happy to have it. Rated 4 out of 5 by Zoli from Suit all my needs / but challenges with BT I purchased my Y45BT in early summer of 2017. They serve me well ever since. I did not experience the wear of the earpads, although my device is white... I wore them in pocket, in backpack, sidebag. I agree with the earlier comment that it may be a little tight, but to me it was an advantage that they did not fall while cycling. My only problem is an eventual breakup of connection in bluetooth mode (I am using an LG G4, which - I admit - does not have the best BT track record), which may be resolved by restarting everything (headphones + phone). I also cannot find an "official" source for the Windows 7/10 driver. I am satisfied with the wired connection (I am left handed, so the connector location is better at the right pad for me), but I miss the mic from the cable, it's a penny function, but badly missed!! With the exception of some subpar Rapoo headphones this the most easily foldable headphone I have used. Rated 4 out of 5 by Lance from Excellent sound quality, poor build quality. Got these as a gift within a few months the plastic disks in the pads kept slipping out of place and before long both pads had split completely. Manage to find some cheap replacements online not as comfortable but no issues with build quality. After about a year and a half the audio cable started to cut out in certain positions no doesn't work at all. Was going to leave 3* but decided 4* because the sound quality is good and also I dropped them in a pan of water, which i thought would finish them. But within in a day they had dried out with no loss in sound quality. Rated 4 out of 5 by Adam from Great value for money! Excellent sound and portability, ease of use and value for money (£69.99). Works great with my android Nexus 6P as well as other bluetooth devices such as my tablet and mac. Great for traveling wire-free. Rated 3 out of 5 by Karlito from Nice sound quality and bass, but terrible ear pads I'm really happy with the sound. I don't use so much the wireless option, I think there some bug noise when I use them without cable. The only negative point, is the ear pads falling apart after one year... Check the picture. I used clue, and now I'm using tape. Hi, what is the diameter measurement of the ear pad? The diameter for the AKG Y45BT's earpad is 2 inches. Do these headphones work with YouTube ? Hi. Yes, you can use it with Youtube via cable connection, but if you want to use it via Bluetooth, there will be a delay that is too long for comfort. Yes they do, they come with a 3.5mm jack that connects to most phones/laptops/other devices. Hi Thank you for your question There is unfortunately no way to alter microphone sound on Y45 if you have further questions please contact our help-desk. Do the headphones have replacement rechargeable battery's and where can they be purchased. Hi. Sorry, replacement battery is not available as original spare part. You would have to find a suitable battery from another source, if that is even possible. 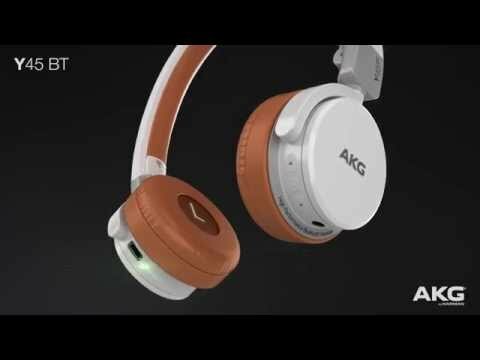 Hello; I read a review stating that the AKG Y45BT is Aptx compliant yet one of your responses in the question section is that there will be an unacceptable audio delay when watching YouTube. 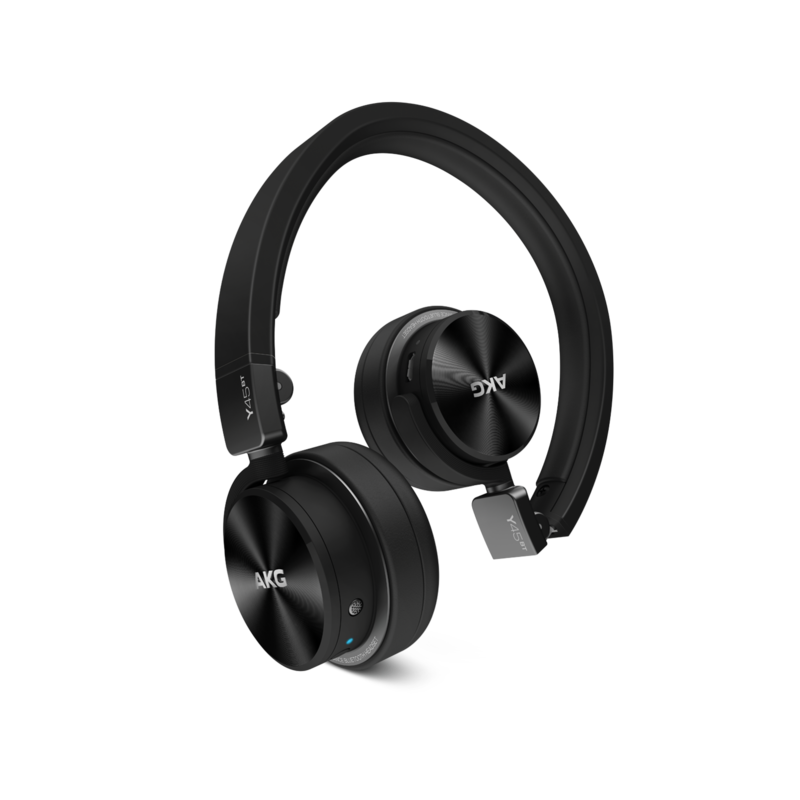 Is the AKG Y45BT Aptx enabled?